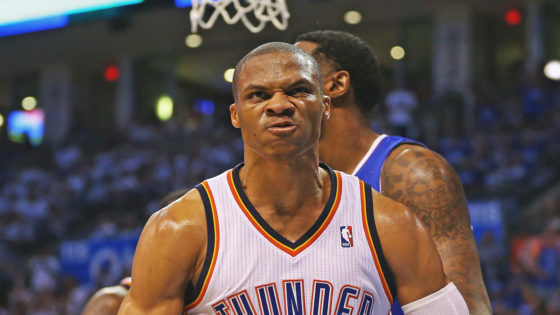 Russell Westbrook is the face of the Oklahoma City Thunder. He just didn’t become that today. We found out today that he was, is, and can be for the future of the franchise, the ALPHA DOG on Reno Street. Don’t take it for granted that Russell wants to leave OKC. Just as we were all mislead that Kevin was an Oklahoman for life, do not assume that Westbrook does not want to be the man here in Oklahoma City. Have a great 2016-2017 season Russell.